Tim joined Atlas Private Wealth Management in 2015 as a Vice President and Wealth Management Advisor. 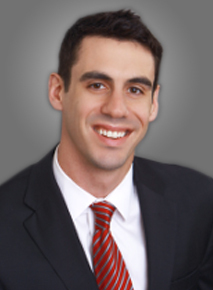 Before joining Atlas, he worked with an investment management firm based in Western NY for seven years. Tim is a graduate of the University of Rochester. He is a CERTIFIED FINANCIAL PLANNER™ and works with individuals and institutions to help plan their financial future. Tim is an active member of the financial community of Upstate New York, currently sitting as a Director on the Board of the Eastern New York Chapter of the Society of Financial Service Professionals and as an active member of both the Financial Planning Association of Northeastern New York and the Upstate Venture Association of New York. He and his wife, Emily, reside in Albany.